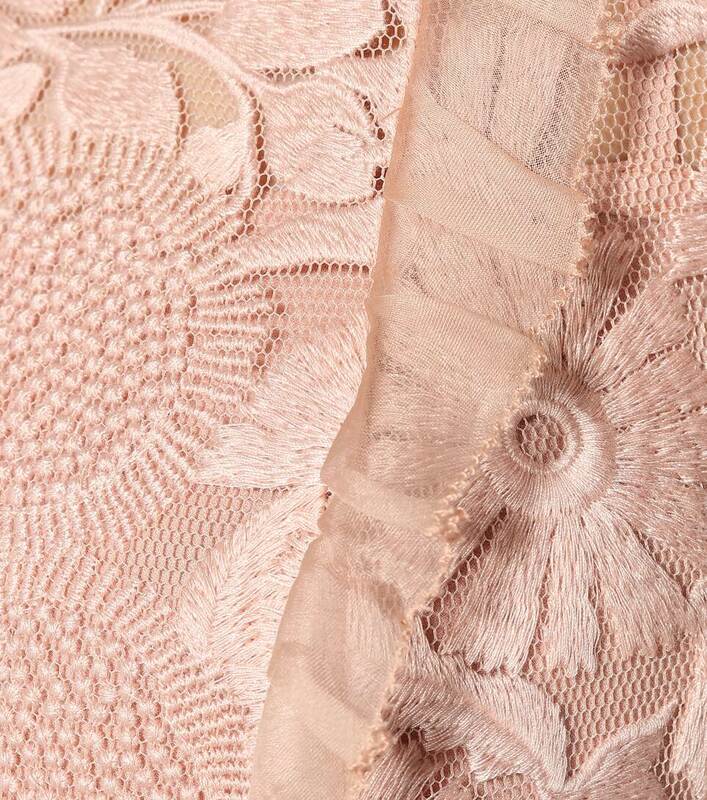 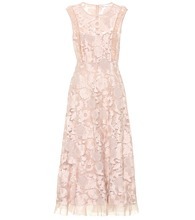 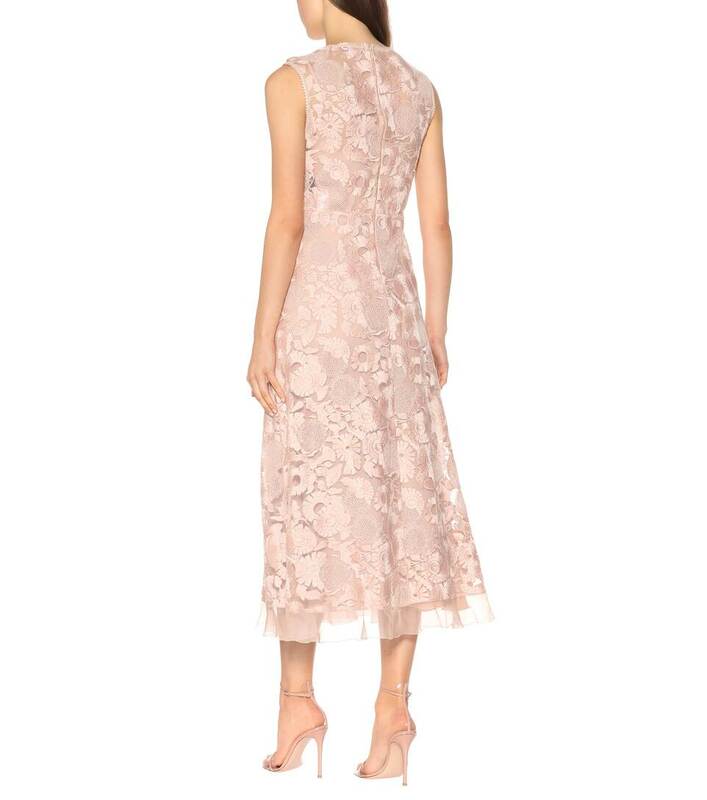 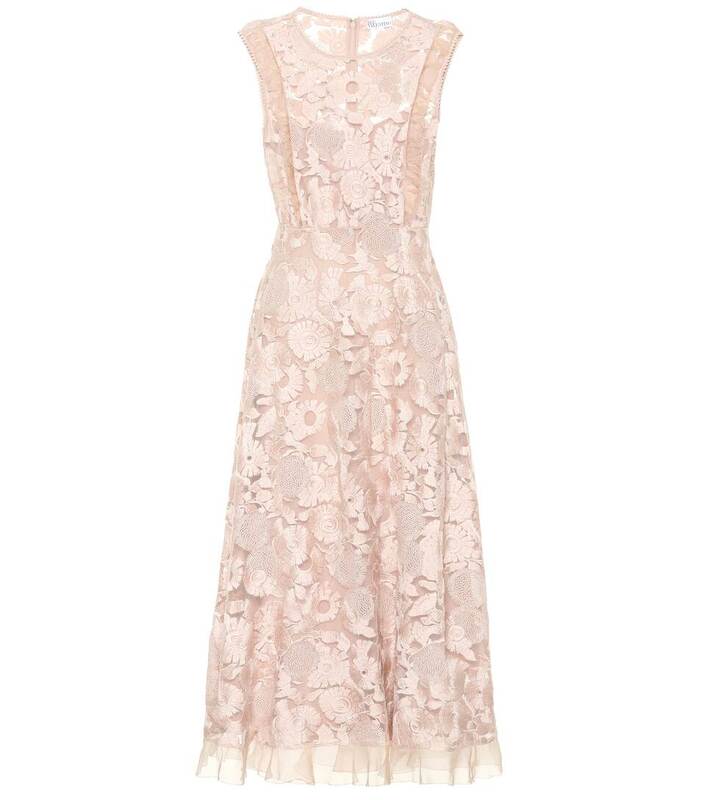 REDValentino channels a romantic mood on this charming midi dress in rose pink. 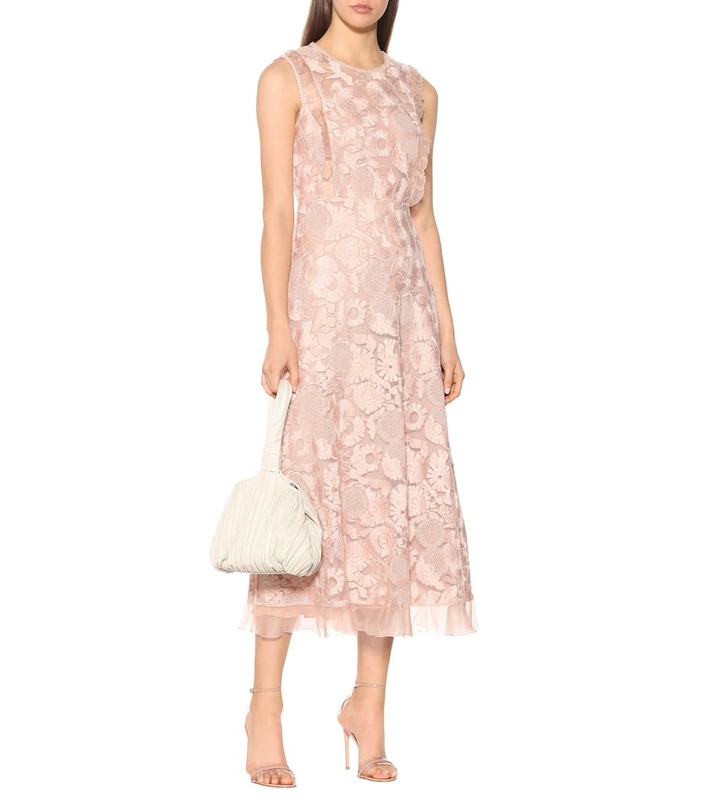 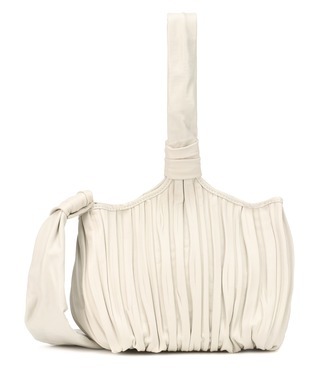 It's been crafted from floral lace and is detailed with ruffled tulle accents. We love how the fitted waist and bodice flatters the frame before falling to an elegant A-line skirt. 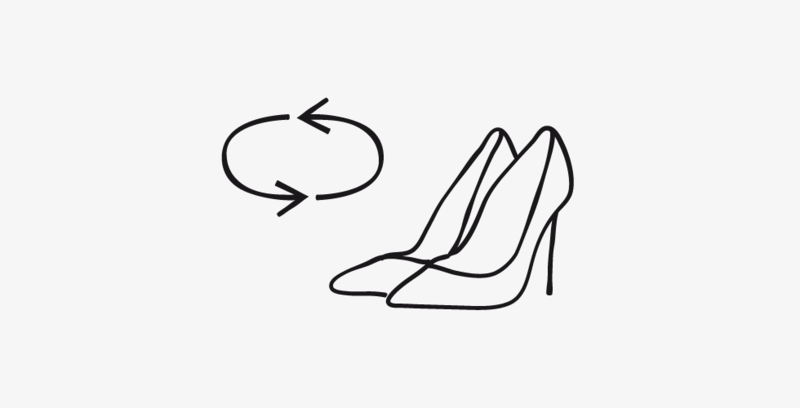 Complete the look with refined heels and a compact clutch.